Trent Weiss wins 1st place! 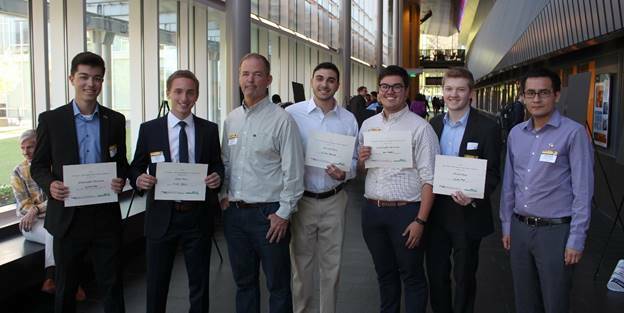 Trent Weiss (second from the left in the picture below) won 1st place at the 2018 Air Products Undergraduate Research Poster Session, beating out more than 25 other undergraduate students. Congratulations!